In 1965, five potential members met in Saginaw, Michigan to discuss being a part of the new Saginaires Drum and Bugle Corps. That fall, the corps was organized as a parade corps, moving into the competitive arena in the early seventies, and swiftly becoming Michigan's all-time highest ranked drum and bugle corps. 1978 was a particularly successful year, with the Saginaires taking the title in the VFW Michigan and National Championships, American Legion State Championships, the U.S. Open (in Class A), and the Great Lakes Drum Corps Association Championships, Open Class. In 1985, the Saginaires' name was changed to Northern Aurora. The corps remained strong, winning the GLDCA Championships again in 1986, as well as becoming Drum Corps Midwest Division III Champions. In 1988, Northern Aurora suffered a bus accident -- thankfully, no one was seriously hurt, barring some scrapes and a concussion. The corps recovered well from their injuries, missing a minimum of shows and finishing out the season as Division II/III finalists. 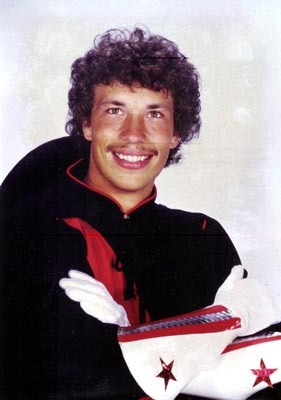 In 1992, Northern Aurora became Michigan's first DCI member corps, scoring 24th in Open Class competition. 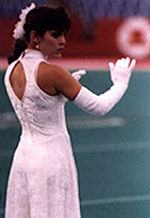 During 1995 and 1996, the corps steadily climbed the ranks of Division III -- however, in 1997, the corps administration chose to withdraw Northern Aurora from the competitive arena for financial reasons. For the past few years, the SYO's focus has been on building a strong foundation for a new corps, in both finances and a member base. Northcoast Academy, the SYO's newest ensemble, was successful in their first year in WGI, and plans to continue their success in the new millenium. This video is an attempt to catalog the last 35 years of the Saginaires Youth Organization, to teach the newer alumni about the "good old days," back when the Saginaires' sheer volume would push the stands back a few feet, and when they used to leave such corps like the Bluecoats and the Glassmen behind in the dust. Also, this is an attempt to bring all alumni closer together, to give alumni of both the Saginaires and Northern Aurora a sense of history and of the future. Many of these photos were reduced in size to optimize them for web use -- however, the images need to be much larger to fill a TV screen (640 x 480). More videos are soon to come, including non-show footage from 1995 and 1996, and shows from the early 1990's. This list does not include any footage we might be able to locate at the corps hall. If you have any photos or video footage you would like to see in the video, please contact the webmaster. If you have a scanner, feel free to scan your photos at a high resolution and e-mail them to us. Also, we are accepting and encouraging video and audio tapes of drumcorps stories -- tell your favorite anecdote and send it in the mail (contact the webmaster for the correct "snail mail" address), and we'll include you in the video!